c. 1900. Found in records of an online European auction several years ago. This is a magnificent example of the Edwardian/Belle Epoque jewelry they were making at the time. Made from sterling 925 vermeil the millegrain edges, perfect old cut pastes, knife edge settings. Just gorgeous. 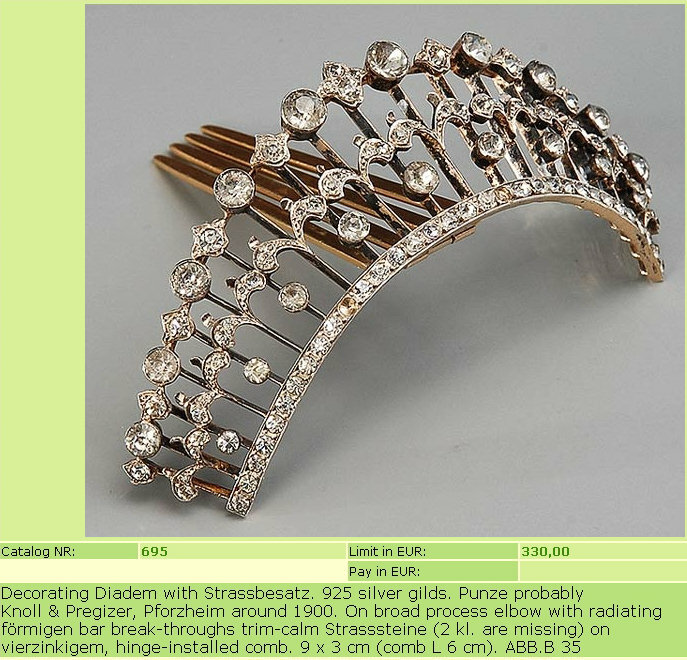 I can't imagine any woman wearing that and not thinking she was wearing anything less than a real diamond diadem.